We wanted an alternative to solution-soaked baby and facial wipes that leave harmful residue on our thirsty skin, and we looked for dry wipes far and wide. What we found surprised and disappointed us. The global marketplace only offered medical-grade dry wipes for cleaning up hospital spills and dry wipes made from cotton and viscose that were abrasive (and expensive!). We visited consumer, parent, and beauty forums where others like us had visited and, in desperation, even advocated paper towels as the only viable alternative (yeah, we tried those, too). We decided to make our own dry wipes. We wanted a dry wipe that was truly clean and safe, left a small footprint, and gave us some room to interpret our own creative solutions. The result? Our bamboo wipes are so silky soft, tear resistant and eco-friendly we couldn't bear to keep them under wraps. 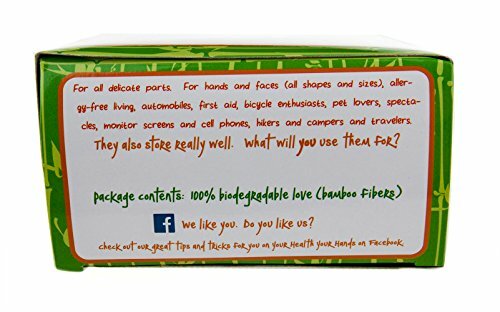 These dry wipes are made from 100% bamboo fibers and are 100% biodegradable. The bamboo fibers create a very soft wipe that is especially great for sensitive skin (such as a baby's bottom). Not only are they free of parabens, petrochemicals, sodium lauryl sulfate, fragrances, and bleaching agents, but they are also hypoallergenic and tear resistant. The wipes are naturally off-white in color as no bleaching agents have been used. The wipes come dry, so you can make your own natural formulas and create high quality wipes that are specific to your needs. 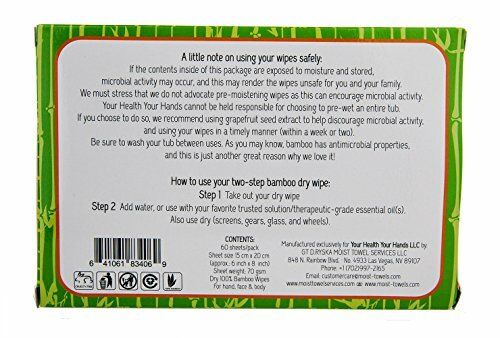 Because they are biodegradable, you can use them as disposable wipes and throw them in the trash. But, if you prefer, they can also be washed and reused since they are very sturdy and tear-resistant. Note: Wash in a garment bag and air dry rather than placing them in the dryer. Please note that it is always better to let the wipes remain dry and add the liquid solution to them right before you use them so as not to encourage microbial activity. 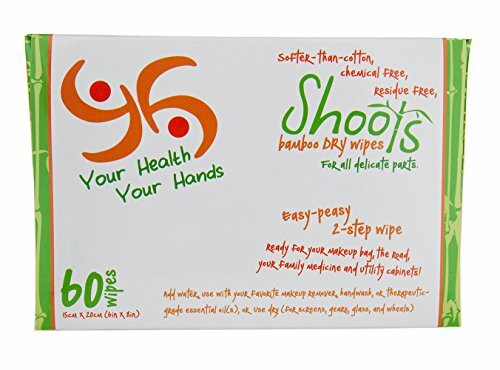 We'd love to hear how you're enjoying YHYH 100% bamboo dry wipes.